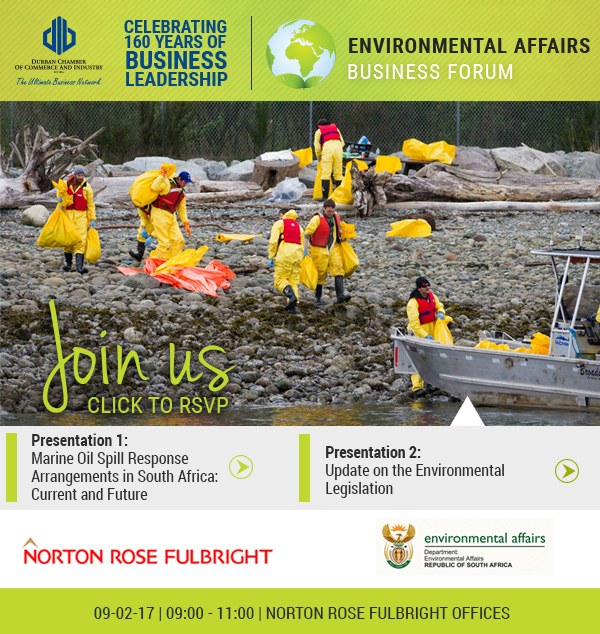 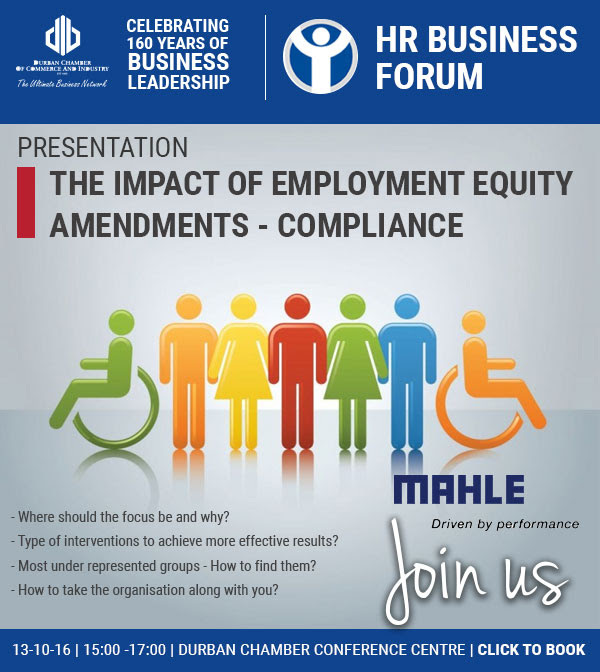 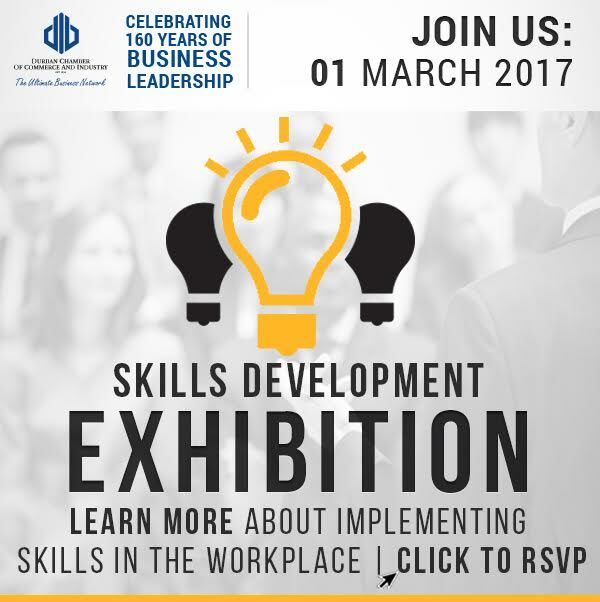 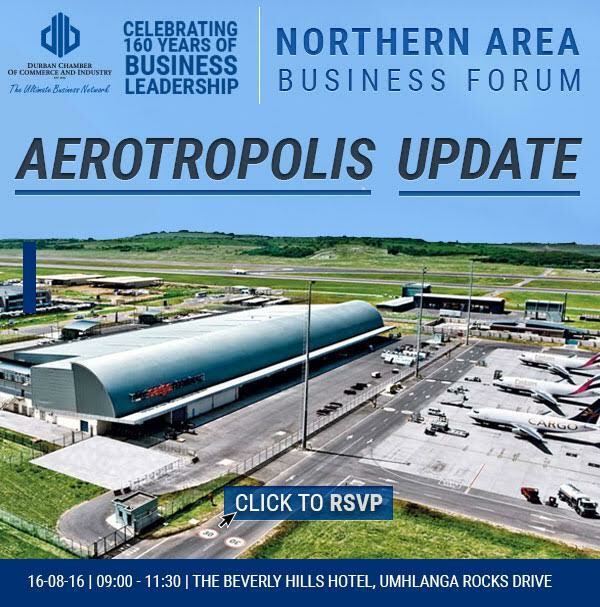 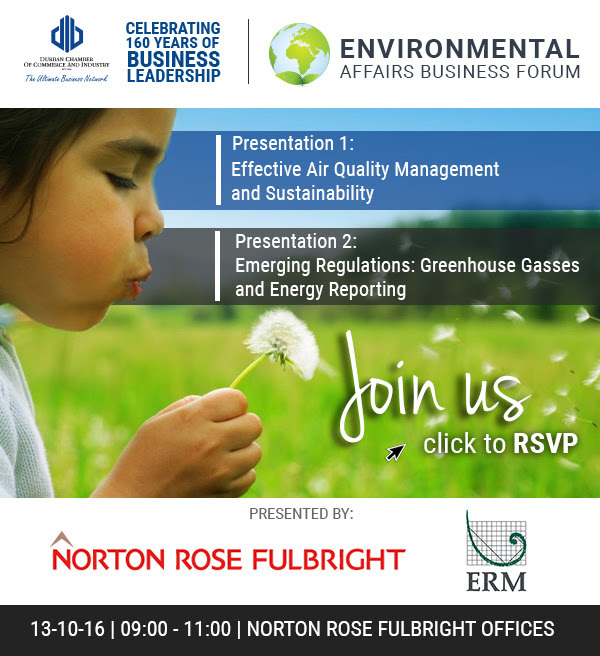 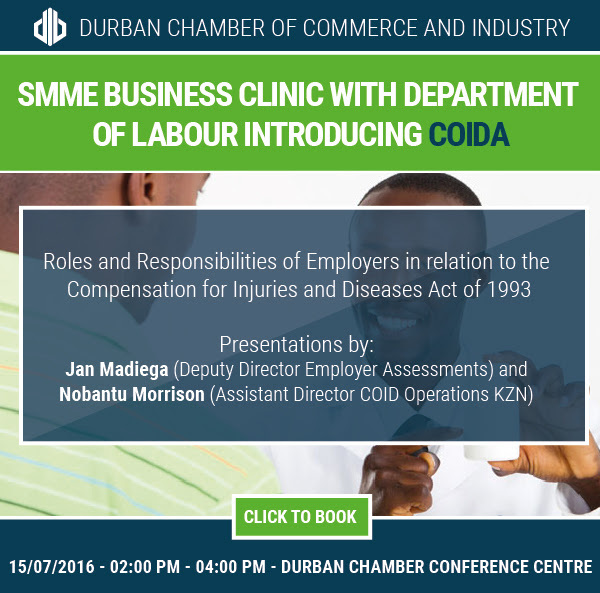 The Durban Chamber of Commerce and Industry presents a valuable workshop. 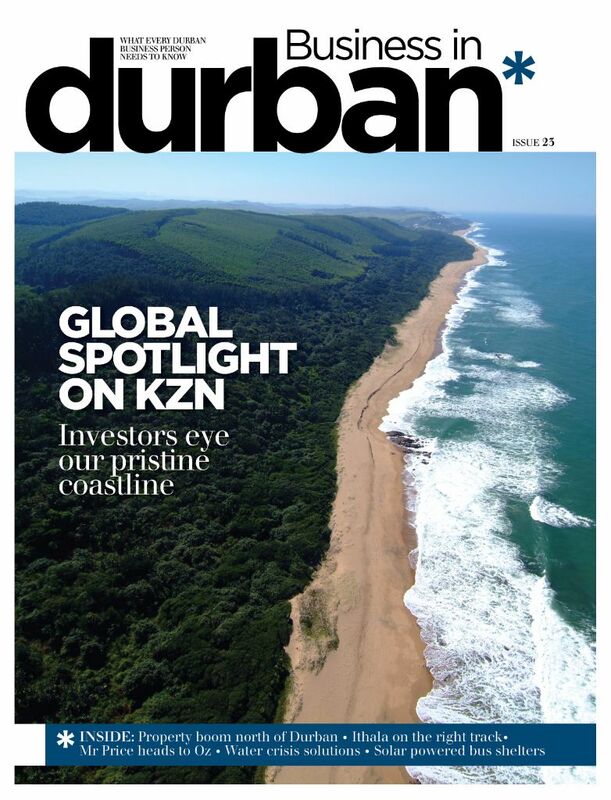 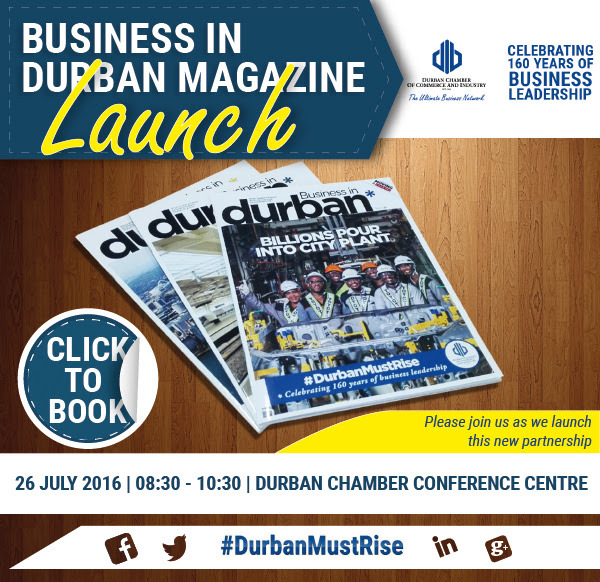 Join us as we launch the magazine Business in Durban in partnership with the Durban Chamber. 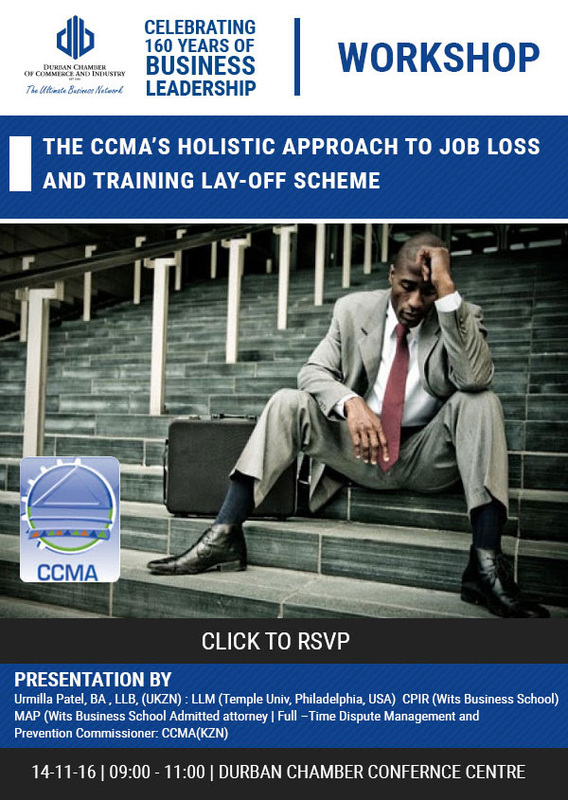 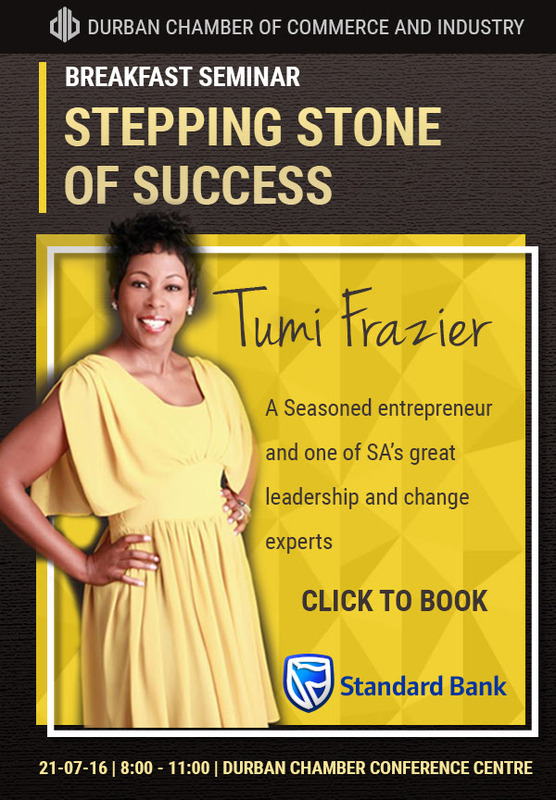 The Durban Chamber of Commerce and Industry invites you to a breakfast seminar with Tumi Fraizer. 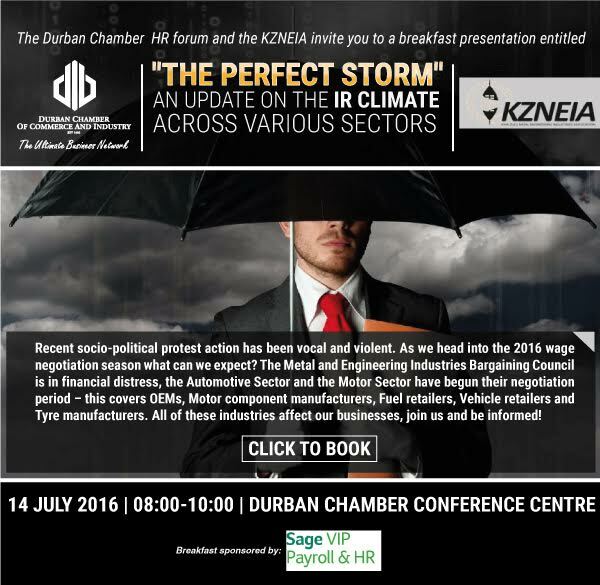 The Durban Chamber HR Forum and the KZNEIA invite you to a breakfast presentation entitled "The Perfect Storm"